Practica El Beso is pleased to announce a new weekly Argentine Tango practise on Monday evenings from 8-10 p.m. starting on October 1st in the Teiaiagon Room at Swansea Town Hall, 95 Lavinia Avenue, Toronto. Your hosts will be Isabella and Nicolai. This informal practise will feature Argentine Tango music from the Golden Age. We encourage you to bring a partner to practise with. Free Parking behind the building and street parking available. We are close to Runnymede subway. 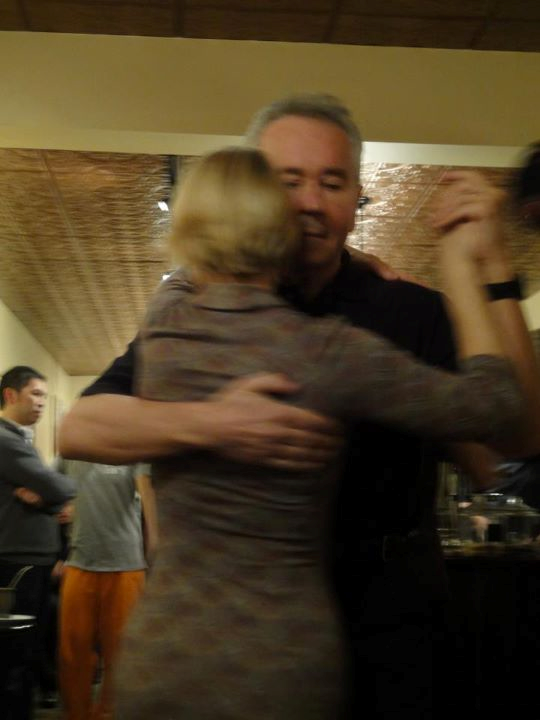 This entry was posted in Practica El Beso Classes, Toronto Tango. Alicia Pon’s workshop…in the local newspaper ! 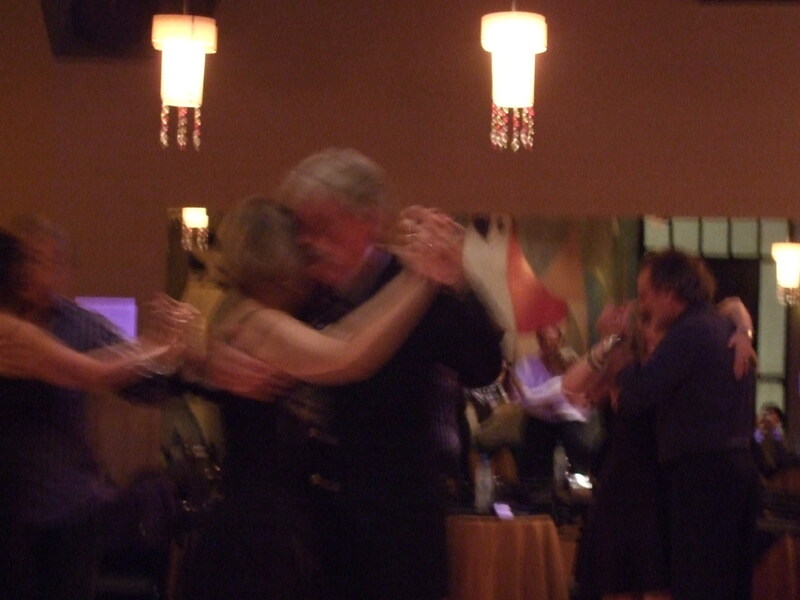 This entry was posted in Alicia PONS, Isabella Szymonowicz, Practica El Beso Classes, Toronto Tango. 1. Please tell us what you mean when you say “tango is life”. Alicia: Tango holds different states of mind, at times happy, at times not. Like life we have connections that are more strong with some people and weaker with others. We need to have dialogues, because in our heart a TANGO ALWAYS PLAYS. 2. Can you explain the main difference between milongas in Buenos Aires and North America? Alicia: In Buenos Aires you BREATHE tango in the milongas, the ENERGY is created by each couple and at times all TOGETHER. It almost looks like the floor moves. Each person dances with their partner creating a row of precious pearls and each dance opens the door to an emotion within ourselves that we express to our partner. 3. What do you think is missing in the milongas in North America? Alicia: The sentiment. They are too pre-occupied with steps done well and not for what the couple feels. 4. How important do you think it is for students to spend time practising on their own? Alicia: It is important to practise to feel secure on the dancefloor. But, I always say that “tango is produced in the moment”. At times one practises a lot and then when dancing forgets everything. 5. You are a wonderful milonguera, why do you think so many people love to dance with you? Alicia: Thank you. I think I put all of my being into each dance, I express how I feel and let go so that I can FLY! 6. What can we do to keep this dance alive? Alicia: Keep dancing and always learn more. In this blog’s last post, I asked Toronto’s Isabella Szymonowicz why dancers should experience the teachings of Buenos Aires tango instructor Alicia Pons when she visits our city early in March. In her reply Isabella included a video of the two of them dancing. Knowing that this blog’s readers have varying levels of tango knowledge and varying levels of ability to relate to a video, I asked Isabella to put in down in writing what is happening in the video. Here is her response to that challenge. Alicia was asked last September to do a series of classes at La Milonguita which is a popular milonga a tiny bit out of the downtown core. The idea of the class was to do something simple, elegant and with the music. During this clip Alicia and I are demonstrating the concept of simple weight change as an actual step. At about 28 seconds she verbalizes that we are only changing weight. The follower is simply walking backwards and the leader (Alicia in this case) is walking on one side of the follower and then on the other side of the follower. With great fluidity and ease the leader keeps hips level, leaves feet a bit open at times, and changes weight when he (the leader) hears it in the music. This is all done gently and with great precision. It sounds and looks so simple but really it is challenging. The soft quality of the steps here follow the beautiful stunning music of this Osvaldo Fresedo piece with Ricardo Ruiz vocals. The music and lyrics bring forth a mood of gentle, sad, long forgotten promises never to be brought forth. The marriage of music, dance, partner, fuses into something incredibly haunting and unforgettable. Despues del Carnaval by Osvaldo Fresedo with Ricardo Ruiz vocals. un beso ardiente en la noche palpito. Another beautiful example of tango as danced in the milongas with simplicity and weight changes is this clip of Cacho Dante. He and Alicia performed and taught together. 1. How do you think you can help people in the North American community understand tango more? Alicia: By showing my heart and sentiment and putting a lot of energy in the classes. 2. What would you say to women who want to come to your workshops but are worried about not having a partner? Alicia: Come anyways to learn, we have the possibility to rotate partners. 3. What do you think are the qualities in a dancer that most milongueros in Buenos Aires look for? Alicia: To have passion for the music and dance. To let go of the body so that it can “express” and not think too much if it is good or bad to let whatever happen. 4. What would you like to share with us that we may not know? Alicia: Tango is to feel, not to do. The music takes us away, the connection is the most important and this is intimate, not public. It is not to show others how you dance but to tell your partner how well you feel.